We specialize in providing Clean Air Systems that are manufactured using quality material like stainless steel. These systems keep a room free from bacteria, fungus and render a germ free & sterile environment. 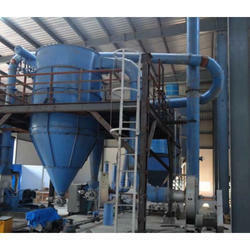 We manufacture a wide assortment of Micronising and Air Classification Plant. One of the best quality raw materials are used in fabricating these high performance and durable machines. Used in various industries like mineral, steel, cement and ceramics for applications such as micro particle size, serrated liners and unique multi-tip rotor create numerous air-whirls, turbulence and aids in progressive grinding. Available in array of specifications, these can be customized as per client’s needs. With standard and bespoke equipment and turnkey systems KINC is able to deliver a range of solutions to individual size reduction requirements. With an extensive portfolio of KINC & other sourcing equipment we can offer individual ball mills, crushers, fine impact mills and AIM mills (Attrimpacto mill) suitable for coarse crushing down to ultrafine milling of submicron particles for employment across a range of wet or dry processing applications in the chemical, food, pharmaceutical, mineral and other industries. KINC has pioneered the development of contained milling systems in which size reduction equipment is re-designed to become an integral part of a contained system to offer operator, product or environmental protection from potentially hazardous dusts. Our engineers are also experienced in designing explosion protected systems and those incorporating easy clean designs. KINC can supply a range of mill technologies from lab up to production scale. Our aim is to provide not only a stand-alone machine but engineering systems and capabilities to meet individual production needs. Looking for Air Classification System ?